Here at Ashby Bears we offer the entire range of Steiff animals with the quality of the Steiff name. 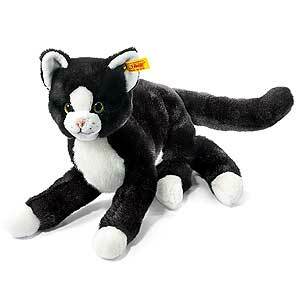 Classic animals from the most famous name, Steiff. Founded in 1880 by Margarete Steiff the very first soft toy made by by this remarkable lady, was a small felt elephant. Since then, the Steiff animal has been at the forefront of all collectables of this type. There are so many reasons to give Steiff Teddy bears and animals as gifts. Perhaps no other present, shows as much consideration and affection as the gift of Steiff.